"Faith is not about believing in yourself..."
Vice President Mike Pence discussed the importance of personal faith and prayer during a private gathering ahead of the National Prayer Breakfast on Wednesday evening, revealing the powerful Bible verse he has hung above his mantle: Jeremiah 29:11. 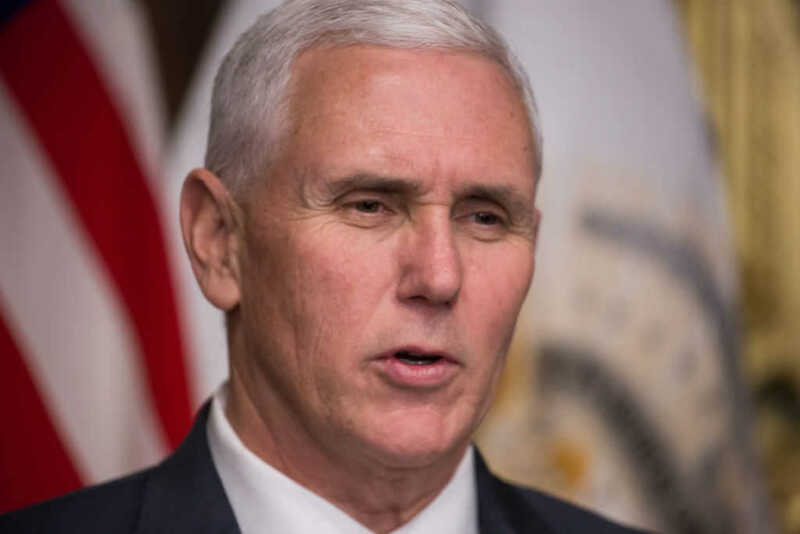 “It reads, ‘For I know the plans I have for you, plans to prosper you and not to harm you, plans to give you hope and a future,'” Pence told a small audience at the Washington Hilton in Washington, D.C., before further sharing details about his faith and testimony. Pence said he is blessed to have his family amid the challenging times the nation faces, and he said that he plans to remain earnest in his faith, especially in the quiet and personal moments during which he observes it. The scripture reference means so much to Pence, in fact, that he took the oath of office on the page in Ronald Reagan’s Bible that hosts the verse. As Faithwire previously reported, not everyone believes the scripture can or should apply to America today. Regardless of that debate, though, Pence believes its relevance holds true. Read more about Pence’s faith journey here. – Do Pro-Lifers Really Want to ‘Restrict’ Women’s Rights?